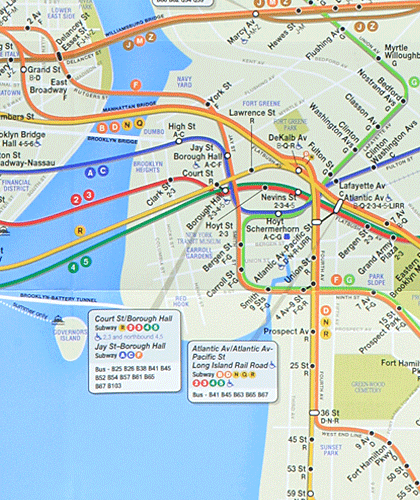 Above is a section of the MTA’s new-and-improved subway map, due to be released into the wild next month. Of particular note to residents of North Brooklyn is the orange line that now runs alongside the familiar brown of the J/M/Z line. That’s for the newly revamped M train, which is now part of the 6th Avenue IND system – running from Bushwick and points east through the Lower East Side, and then directly north to the 6th Avenue line and on into Queens. That turn to the north that the M train now makes just west of Essex Street station is known as the Christie Cut – it has been unused since the late 1960s, but has been put back into service to give Williamsburg and Bushwick a direct connection to Midtown Manhattan.